Good question! 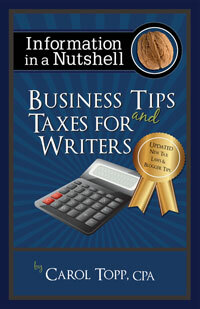 Here are a few times when the expertise of a CPA (Certified Public Accountant ) can help a writer. or schedule me to speak to your writers group (live if you are within 2 hours of Cincinnati, Ohio or via Skype if you are further away). 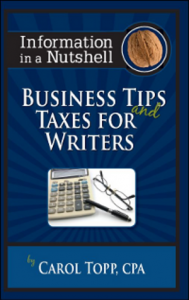 A certified public accountant helps so much to businesses and even individuals. One can be a financial consultant who sees to it that all financial aspects must be in good shape. Absolutely great! With my own experience, I hired one for my tax purposes. It really works for me. Thanks for sharing this post!